In 2010, I got a prize from the Swedish IT Industry as “IT person of the year”, the year after I had led the Swedish and first Pirate Party into the European Parliament. Their motivation for the prize was that I had finally, and through hard work, brought important IT issues to front row and center of the political establishment. What we said then are the same things we say now. The Internet is the most important piece of infrastructure we have. More important than telco, than cable TV, than roads, than power, than… well, with the possible exception of tap water and sanitation infrastructure, I’ll allow the jury to confer a bit more on that one. We were saying, and are saying, that it’s insane, asinine, repulsive and revolting to allow a cartoon industry (the copyright industry – mostly led by Disney in this regard) to regulate the infrastructure of infrastructures. To allow a cartoon industry to dismantle anonymity, the right to private correspondence and many more fundamental liberties just because they were worried about their profits. There was some success in pushing back the worst. We didn’t get to go on the offense, but we did safeguard the most important of liberty. Then, something very odd and unexpected happened. Spotify came on stage, praised The Pirate Bay for raising the bar for consumer expectations of what good service means, and swept the floor with consumption patterns of music. As did Pandora in the US. Pirates tend to be early adopters and Pandora was no exception: I am paying subscriber #110 there out of today’s tens of millions. As was always noted, the fight for liberty was never a fight about money. More people shifted toward streaming video as well with Netflix and similar services, again showing it was never about the money, but always about freedom. After that, something even more unexpected happened. Pirates started fighting with the copyright industry, against the internet service providers, in the halls of policymaking. More specifically, pirates were siding with Microsoft against lots of old telco dinosaurs. Even more specifically, people were fighting for Net Neutrality – something that Microsoft was also fighting for, as the owner of Skype – against the mobile divisions of telco dinosaurs, who wanted to lock out competitors from their imaginary walled garden. Of course, this is only unexpected if you thought it was about money in the first place. If you knew that it was always about liberty, about defending the infrastructure of infrastructures, about protecting the right to innovate and the freedom of speech, this comes as a no-brainer. We care for permissionless innovation, we care for private correspondence, we care for sharing and the legacy of knowledge and culture. We do not care in the slightest for obsolete and outdated pre-internet distribution monopolies, nor do we care for pipes that want to be privileged, and we become outright hostile when the industries that benefit from old monopolies (not stakeholders, but beneficiaries!) assert a right to dismantle the liberties that our ancestors fought, bled, and died to give to us today. “How will the authors get paid?” is an utterly uninteresting question in a market economy. The answer is equally utterly simple: “by making a sale”. There is no other way, and there should not be any other way. A much more relevant question today is “how do we protect the infrastructure of liberty against corporate encroachment and imaginary privileges of pre-internet monopolies”. Oh, and the Swedish IT Industry Association also gives a prize to the IT Company of the year, not just the IT person of the year. The company to get that prize in the same year as me? Spotify. Rick Falkvinge is a regular columnist on TorrentFreak, sharing his thoughts every other week. He is the founder of the Swedish and first Pirate Party, a whisky aficionado, and a low-altitude motorcycle pilot. His blog at falkvinge.net focuses on information policy. 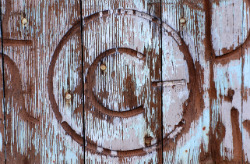 Source: TorrentFreak, for the latest info on copyright, file-sharing, torrent sites and ANONYMOUS VPN services.